This Queen Anne style building has two stories, a slate roof and has been altered. It has a three-bay, center entrance that is wood framed. It has a gable roof, double bracketed eaves and two shed-roofed dormers with 18-light windows on the front over outer bays. There is a one gable-roofed rear wall dormer, a brick endwall chimney on the left side. The exterior is wood clapboard (1st fl.) and decorative shingle (2nd fl. and dormers) siding. There is a two-story front entrance pavilion with modillions. There is a Palladian window on the second floor with tracery in the center, an arched window, embellished with entablature complete with a dentiled cornice, and pilasters flanking smaller side windows. Modillions and six turned posts remain from the original porch. There are large Queen Anne-style 29-over-1 multi-pane sash windows that flank the pavilion on the second (small square lights in the upper sash). There are 15-light French windows on the side of the pavilion and a one-story box bay window on the right side. There is a one-story rear lean-to; original double front doors; and a stone foundation. John M. Cook*, identified in an 1885 directory as a farmer and manager for E.J. Woolsey, purchased this lot from Elizabeth Bangs* in 1883 and built this house soon after. 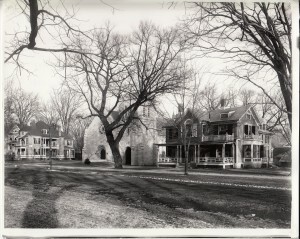 Cook resided here for a year or two, but by 1886 the house was rented out to Ambrose Kingsland of New York, and was thereafter rented to “distinguished summer visitors.” In 1905 it was purchased by Father William F. Grace, acting on behalf of the Roman Catholic Bishop of Springfield, for use as a rectory for St. Ann’s. The Willows continued to be rented out until 1912, when the new church had been built and Father Grace took formal possession. 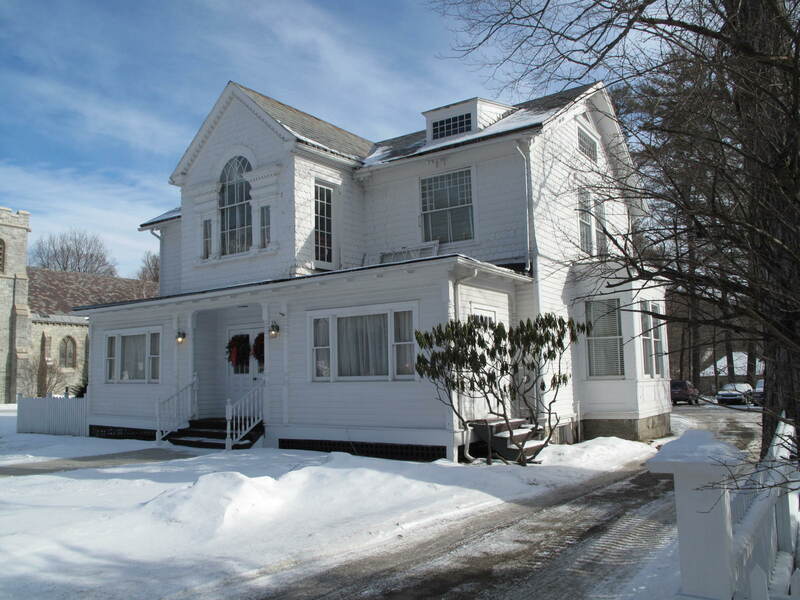 It was used as a rectory until it was sold and converted to a funeral home currently owned by Edward J. Roche.